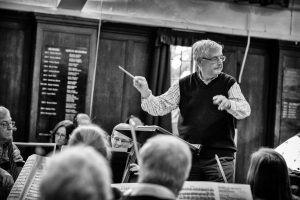 Having been our conductor since 2005, Bill Brooks, decided in 2018 that he would like to retire after our concert in November. The Havering Concert Orchestra thrived throughout Bill’s tenure as conductor. He made rehearsals and concerts enjoyable for musicians and audience alike, and is justifiably immensely popular. Bill has also made an enormous contribution to the musical life of Havering, as you can read below, across several decades. Bill is looking forward to travelling and spending more time with his family. So, our concert on Saturday 24th November, the last under Bill’s conductorship, was a very special occasion. During it we made a presentation of gifts and memorabilia to Bill and his wife Judith, also a great supporter of the orchestra, and finally appointed him our first Conductor Emeritus. Bill Brooks was born in Hornchurch and made his early conducting debut at the age of seven when he conducted the Suttons Infant School Percussion Band at the Hornchurch Infants School Music festival. After primary school he attended Hornchurch Grammar School and the Royal College of Music, where he studied under Joan Dickson and Anna Shuttleworth. He graduated in 1970 and, after a postgraduate teaching course at Bretton Hall, had a lengthy teaching career in Oxford, Havering and Essex. 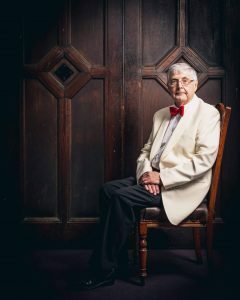 He conducted the Havering Youth Training Orchestra for five years, and from 1981-92 conducted the Upminster Bach Society, performing many of the major works of the choral repertoire, including Verdi’s Requiem and Elgar’s The Dream of Gerontius. 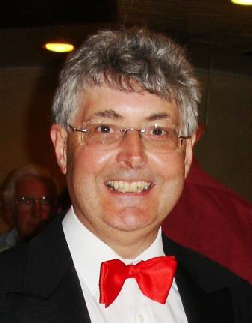 Bill has also been Musical Director of St Andrew’s Church, Hornchurch.